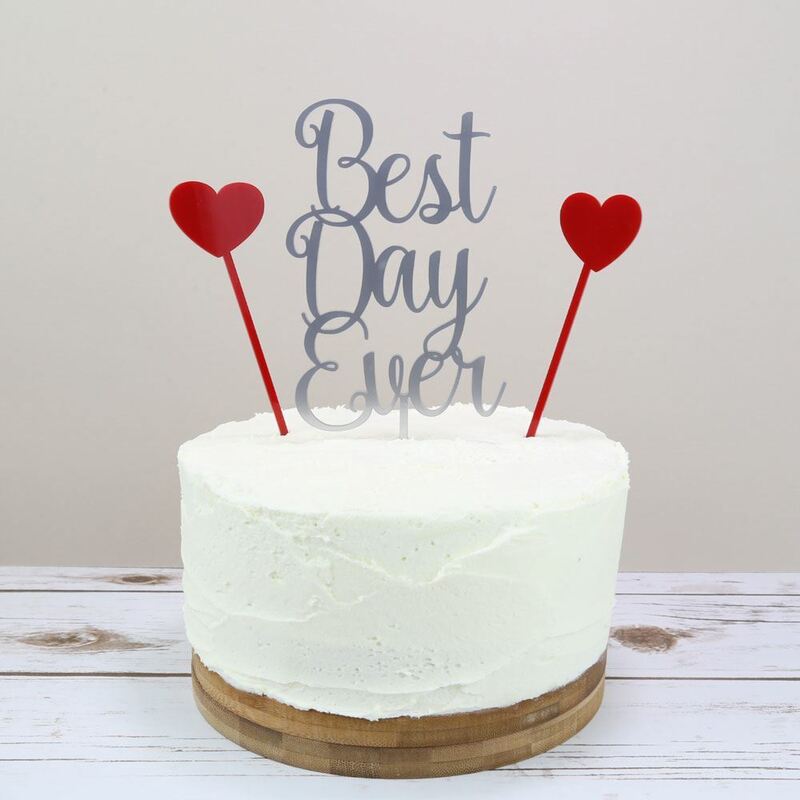 If you are looking for something a little different for your cake then our themed toppers are perfect for adding to celebration cakes. 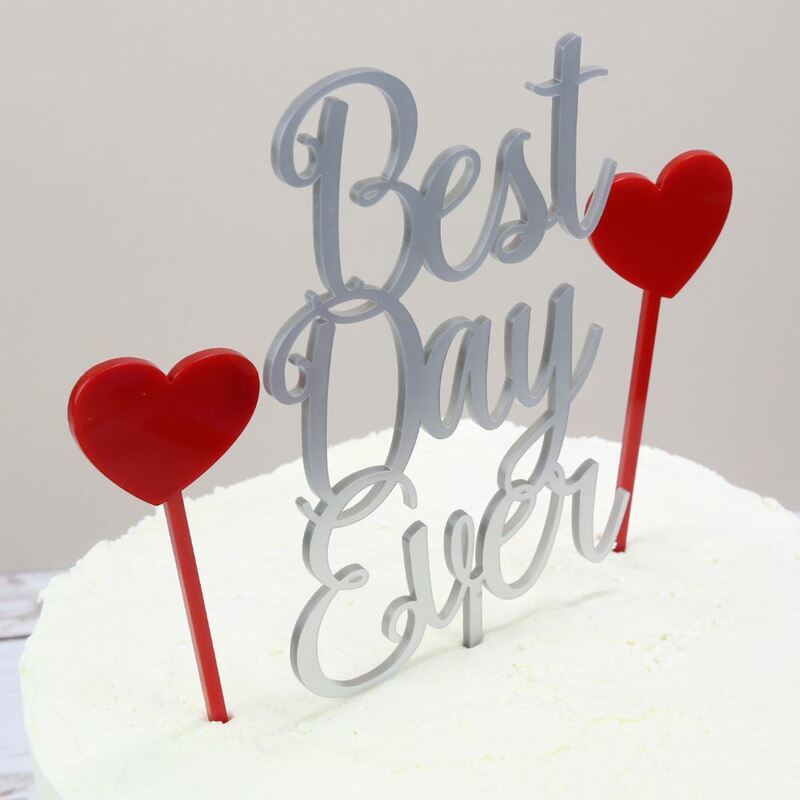 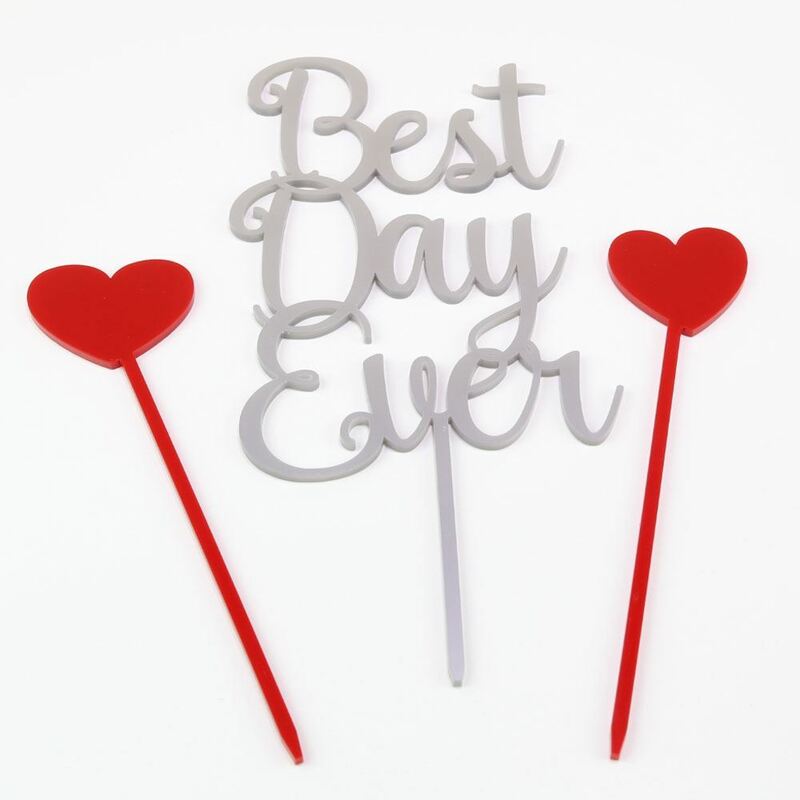 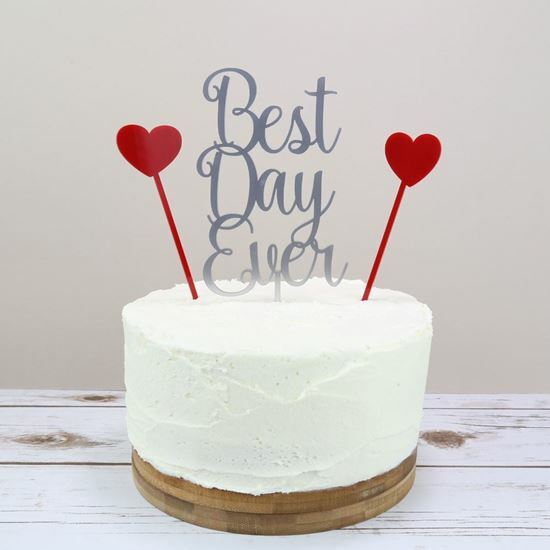 Our "best day ever" cake topper is the perfect addition to your wedding cake. 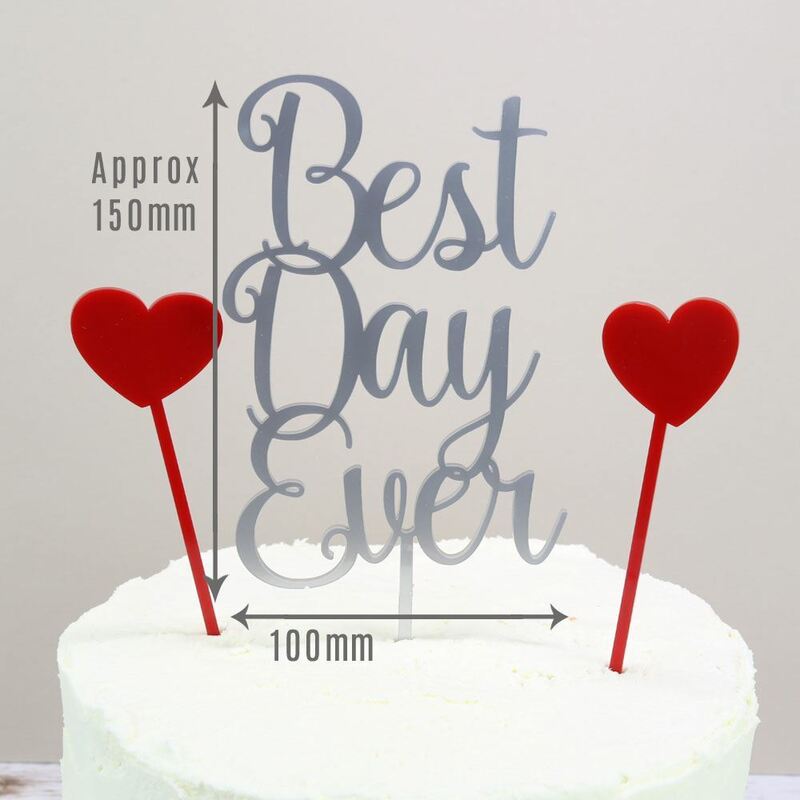 There are also 2 separate hearts which can be placed elsewhere on the cake, enabling you to create your own look. 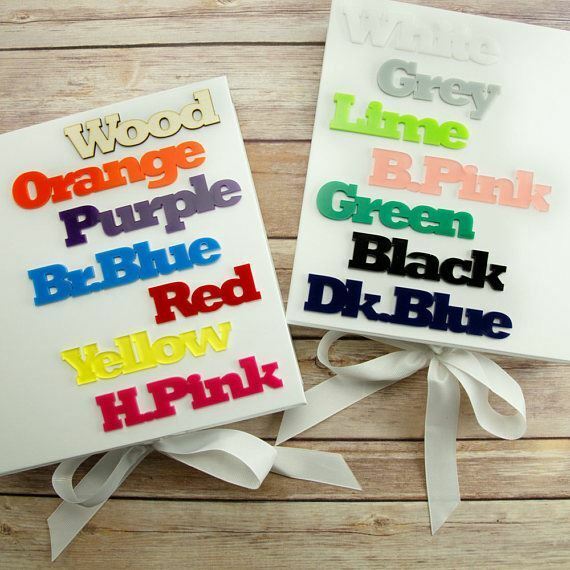 The colours of the topper can be changed to suit the theme of your big day.